The periendothelial accessory structures of the BBB include pericytes, astrocytes, and a basal membrane. The endothelial cells of the BBB are distributed along the length of the vessel and completely encircles the lumen. A thin basement membrane (i.e. basal lamina) supports the ablumenal surface of the endothelium. The basal lamina surrounds the endothelial cells and pericytes; the region between which is known as the Virchow-Robin space. Astrocytes are adjacent to the endothelial cell, with astrocytic end feet sharing the basal lamina (Figure 1.2.1 & 1.2.2). 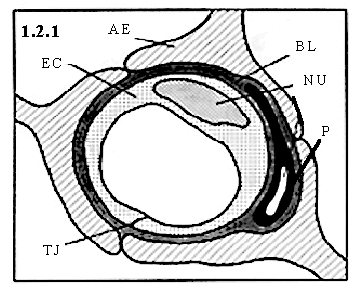 Figure 1.21 A representative cross-section of a cerebral capillary of the BBB. Shown are the astrocytic end feet (AE), basal lamina (BL), endothelial cell (EC), nucleus (NU), pericyte (P), and tight junction (TJ). 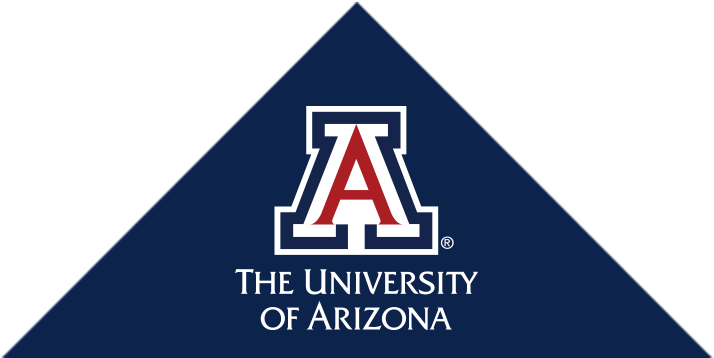 The association of pericytes to blood vessels has been suggested to regulate endothelial cell proliferation, survival, migration, differentiation, and vascular branching (Hellstrom et al., 2001). Pericytes in the periphery are flat, undifferentiated, contractile connective tissue cells, which develop around capillary walls. Microvascular pericytes have shown to lack the a -actin isoform, typical of contractile cells (Nehls and Drenckhahn, 1991), thus these cells may not be involved in capillary contraction. Pericytes have a close physical association with the endothelium. Gap junction communication between pericyte and endothelial cells, as well as at endothelial-endothelial junctions, has been shown in vitro (Larson et al., 1987). Pericytes send out cellular projections, which penetrate the basal lamina and cover approximately 20-30% of the microvascular circumference (Frank et al., 1987). Pericytes are thought to contribute to endothelial cell proliferation, via selective inhibition of endothelial cell growth (Antonelli-Orlidge et al., 1989). Lack of pericytes has lead to endothelial hyperplasia and abnormal vascular morphogenesis in the brain (Hellstrom et al., 2001). Research indicates that pericytes of the BBB might be derived from microglia, since these pericytes demonstrate the capacity to phagocytize exogenous protein form the central nervous system (Coomber and Stewart, 1985). Additionally, there is some evidence that pericytes are able to mimic astrocyte ability to induct BBB "tightness" (Minakawa et al., 1991). Astrocytes are glial cells which envelop > 99% of the BBB endothelium. Intercellular adhesion between astrocytes in the blood-brain barrier has been observed in the form of gap junctions and adheren junctions (Brightman and Reese, 1969). There is significant body of evidence, in vitro and in vivo, to indicate that astrocyte interaction with the cerebral endothelium help determine BBB function, morphology (i.e. tightness), and protein expression (Beck et al., 1984; Arthur et al., 1987; Cancilla et al., 1983). Astrocytes serve as scaffolds, guiding neurons to their proper place during development and direct vessels of the BBB. The association of astrocytes to the cerebral microvasculature is underlined by the association of neurons to astrocytes. The ~20 nm gap between adjacent astrocytes, which is readily diffusible by horseradish peroxidase (Brightman and Reese, 1969), indicates that they most likely do not contribute to the physical barrier of the BBB. Between brain capillaries, astrocytes, and pericytes is the basal lamina, which consists of laminin, fibronectin, tenascin, collagens, and proteoglycan (Heimark, 1993). The basal lamina provides mechanical support for cell attachment, serves as a substratum for cell migration, separates adjacent tissue, and can act as a barrier to the passage of macromolecules. Cell adhesion to the basal lamina involves the integrins (Hynes, 1992). Integrins are transmembrane receptors that bridge the cytoskeletal elements of a cell to the extracellular matrix and are heterodimers of a and b subunits. Neuronal involvement in BBB formation remains unclear. In vivo and in vitro studies support the hypothesis of a neural induction of the cerebral microvasculature, indicating a specific role of neurons and / or astrocytes in BBB formation (Wolburg, 1995; Bauer and Bauer, 2000). Coculture experiments using cerebral capillary endothelial cells and neurons (as well as neuronal plasma membranes) have shown dose-dependent increases in g -glutamyl transpeptidase activity, higher than seen with cocultured glial cells (Tontsch and Bauer, 1991), indicating an inductive effect of neurons. Figure 1.21 A representative cross-section of a cerebral capillary of the BBB. Shown are the astrocytic end feet (AE), basal lamina (BL), endothelial cell (EC), nucleus (NU), pericyte (P), and tight junction (TJ). 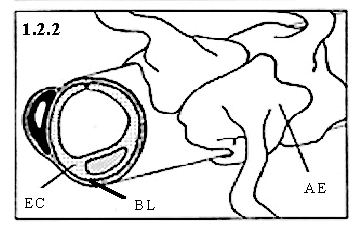 Figure 1.2.2 A representative cross / longitudinal-section of a cerebral capillary of the BBB. Shown are the astrocytic end feet (AE), basal lamina (BL), and endothelial cell.(EC). (EC).